Get our best promotions here on our official site! The Molière is a design boutique hotel situated in the heart of Paris. 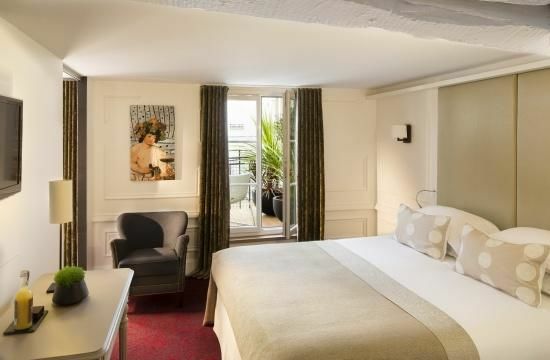 Just steps from Palais-Royal, the Tuileries gardens and the Louvre museum, the Molière welcomes you in the atmosphere of a Parisian house with chic and elegant decoration. Enjoy a refined and relaxing stay in the center of Paris with our spacious rooms, our comfortable lounge bar and our wellness center. Two rooms are adapted for people with reduced mobility..